Worcestershire ( or ; written abbreviation: Worcs) is a county in the West Midlands of England. Between 1974 and 1998, it was merged with the neighbouring county of Herefordshire as Hereford and Worcester. The county borders Herefordshire, Shropshire, Staffordshire, West Midlands, Warwickshire, and Gloucestershire. To the west, the county is bordered by the Malvern Hills and the spa town of Malvern. The south of the county is bordered by Gloucestershire and the northern edge of the Cotswolds; to the east is Warwickshire. Two major rivers flow through the county: the Severn and the Avon. Worcestershire was the heartland of the early English kingdom of the Hwicce. It was absorbed by the Kingdom of Mercia during the 7th century and became part of the unified Kingdom of England in 927. It was a separate ealdormanship briefly in the 10th century before forming part of the Earldom of Mercia in the 11th century. In the years leading up to the Norman conquest, the Church, supported by the cathedral, Evesham Abbey, Pershore Abbey, Malvern Priory, and other religious houses, increasingly dominated the county. The last known Anglo-Saxon sheriff of the county was Cyneweard of Laughern, and the first Norman sheriff was Urse d'Abetot who built the castle of Worcester and seized much church land. On 4 August 1265, Simon de Montfort was killed in the Battle of Evesham in Worcestershire. In 1642, the Battle of Powick Bridge was the first major skirmish of the English Civil War, and the Battle of Worcester in 1651 effectively ended the civil war. 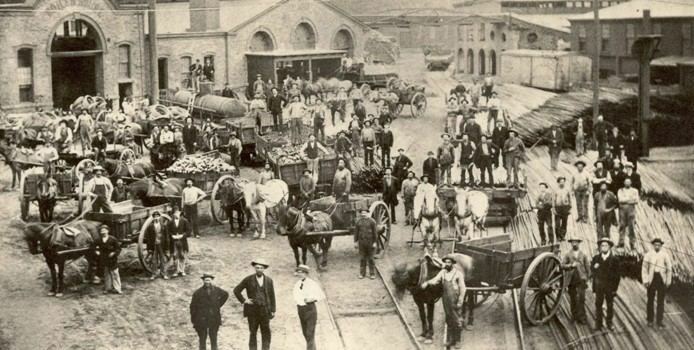 During the Middle Ages, much of the county's economy was based on the wool trade. Many areas of its dense forests, such as Feckenham Forest, Horewell Forest and Malvern Chase, were royal hunting grounds subject to forest law. In the 19th century, Worcester was a centre for the manufacture of gloves; the town of Kidderminster became a centre for carpet manufacture, and Redditch specialised in the manufacture of needles, springs and hooks. Droitwich Spa, situated on large deposits of salt, was a centre of salt production from Roman times, with one of the principal Roman roads running through the town. These old industries have since declined, to be replaced by other, more varied light industry. The county is also home to the world's oldest continually published newspaper, the Berrow's Journal, established in 1690. Malvern was one of the centres of the 19th century rise in English spa towns due to Malvern water being believed to be very pure, containing "nothing at all". The 2011 census found the population of Worcestershire to be 566,169, an increase of 4.4% from the 2001 population of 542,107. Though the total number of people in every ethnic group increased between 2001 and 2011, the White British share of Worcestershire's population decreased from 95.5% to 92.4%, as did the share of white ethnic groups as whole, which went from 97.5% to 95.7%. While this change is in line with the nationwide trend of White British people's share of the population shrinking, Worcestershire is still much more ethnically homogeneous than the national average. In 2011 England as a whole was 79.8% White British, much lower than Worcestershire's figure of 92.4%. Worcestershire's boundaries have been fluid for over a hundred years since the abolition of the form of local administration known as the Hundreds in 1889, but the continual expansion of Birmingham and the Black Country during and after the Industrial Revolution altered the county map considerably. Worcestershire had several exclaves, which were areas of land cut off from the main geographical area of Worcestershire and completely surrounded by the nearby counties of Warwickshire, Staffordshire, Gloucestershire, Herefordshire and Oxfordshire. The most notable were Dudley, Evenlode, and the area around Shipston-on-Stour. In return, Staffordshire, Warwickshire and Shropshire had their own exclaves within Worcestershire. 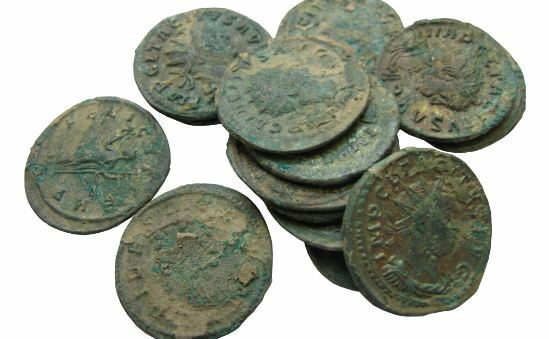 These were found at Clent, Tardebigge and Halesowen/Oldbury (or the Halesowen parish area) and were transferred to or rejoined Worcestershire in October 1844 under the Counties (Detached Parts) Act 1844. This Act of Parliament was designed to eradicate the issue of 'islands' or 'exclaves', however Shipston-on-Stour remained associated with Worcestershire until April 1931 and likewise Dudley until 1966. The southern boundary of the county was also confusing, with parish boundaries penetrating deep into Gloucestershire and vice versa. This was also eventually resolved by the 1844 Act. Worcestershire County Council came into existence following the Local Government Act 1888 and covered the historic traditional county, except for two designated county boroughs at Dudley and Worcester. Birmingham's continuous expansion has been a major cause of Worcestershire's fluid boundary changes and associated housing issues. The district of Balsall Heath, which had originally constituted the most northerly part of the parish of King's Norton, was the first area of the county to be added to the County Borough of Birmingham, on 1 October 1891. This was followed by Quinton Urban District, which was ceded to Birmingham in November 1909, and then by the Rural District of Yardley and the greater part of the Urban District of King's Norton and Northfield, which were absorbed into Birmingham under the Greater Birmingham Scheme on 9 November 1911. Thus these areas were transferred from Worcestershire to Warwickshire. Dudley's historical status within the Diocese of Worcester and through its aristocratic links ensured that the exclave was governed on a largely autonomous basis. Worcester was also self-governing and was known as The City and County of Worcester. In 1926, Dudley County Borough council purchased several square miles of land to the north of the town centre, mostly in Sedgley (Staffordshire), including Dudley Castle. This was to build the Priory Estate, a large new council estate on which construction began in 1929. The boundaries of Worcestershire were altered to include all of the proposed new housing estate in Dudley. During the Local Government reorganisation of April 1966, Dudley expanded beyond its historical boundaries and took in the bulk of Sedgley and Brierley Hill and the south of Coseley as well as a small section of Amblecote. The Local Government Act redefined its status and the County Borough of Dudley became part of Staffordshire, the county of which all of these areas had been part. At the same time, Worcestershire gained a new county borough named Warley, which was an amalgamation of Oldbury Urban District, Rowley Regis Urban District, the County Borough of Smethwick and parts of Dudley and Tipton. During these reorganisations, the area of the administrative county grew only where Stourbridge took in the majority of Amblecote Urban District from Staffordshire and the designation of Redditch in 1964 as a New Town. This in turn saw expansion into the area in and around the villages of Ipsley and Matchborough in Warwickshire. The Redditch New Town designation coincided with a considerable programme of social and private house building in Droitwich, Worcester, Bromsgrove, Kidderminster and along the Birmingham boundary at Frankley, Rubery and Rednal. Frankley parish was later split into two: New Frankley and the area around Bartley Reservoir transferred from Bromsgrove District to Birmingham in April 1995; but the small village of Frankley remained in Worcestershire and became a new Civil Parish under the same name. From 1974, the central and southern parts of the county were amalgamated with Herefordshire and with Worcester County Borough to form a single non-metropolitan county of Hereford and Worcester. The County Boroughs of Dudley and Warley, along with Stourbridge and Halesowen, were incorporated into the new West Midlands Metropolitan county. The West Midlands County Council existed for only a few years before abolition in April 1986, although the West Midlands still exists as a ceremonial county. In the 1990s UK local government reform, the county of Hereford & Worcester was abolished, and the non-metropolitan county or shire county of Worcestershire regained its historic border with Herefordshire. The recreated County of Worcestershire came into existence on 1 April 1998 as an administrative and ceremonial county, although this excluded the Black Country towns of Dudley, Halesowen, Oldbury and Stourbridge (which remained part of the West Midlands). Worcestershire County Council was reformed, although some services are shared with the newly formed Herefordshire Council, including waste management and the youth offending service. The former Hereford and Worcester districts of Redditch, Worcester, Bromsgrove, Wychavon and Wyre Forest were retained with little or no change. However the Leominster and Malvern Hills districts straddled the historic border, so a new Malvern Hills district was constituted which straddled the pre-April 1974 county boundary to the west, south-west and north-west. The remaining parts of the former Hereford and Worcester district of Leominster, returned to Herefordshire. The Malvern Hills, which run from the south of the county into Herefordshire, are made up mainly of volcanic igneous rocks and metamorphic rocks, some of which date from more than 1200 million years ago. They are designated as an Area of Outstanding Natural Beauty (AONB). The Worcestershire Beacon, which at 425m is the highest point in the county, lies in this range. The rest of the county consists of undulating hills and farmland stretching either side of the Severn valley. The Severn is the United Kingdom's longest river and flows through Bewdley, Stourport-on-Severn and Worcester. The River Avon flows through the Worcestershire town on Evesham and joins the Severn at Tewkesbury, Gloucestershire. Several coniferous and deciduous woodlands are located in the north of the county. The Vale of Evesham runs through the south of the county and to its south are the Cotswolds AONB. Football is the most popular sport in the county, and the largest and most successful football club in the county is Kidderminster Harriers. Founded in 1877 as a running club and doubling as a rugby club from 1880, the football club was founded in 1886. In 1987, the club won the FA Trophy for the first time, and seven years later reached the fifth round of the FA Cup, also winning the GM Vauxhall Conference title in 1994 but being denied Football League status as their Aggborough Stadium did not meet capacity requirements. However, when the club next won the Conference title six years later, their stadium had been upgraded and promotion was granted, giving the county its first Football League members. However, the club's Football League membership was short-lived, as Harriers were relegated back to the Conference in 2005 after just five years in the Football League, and have yet to reclaim their status. The county is also represented by Worcester City of the Blue Square Premier North & Redditch United of the Southern Premier League. There is also Droitwich United, Evesham United, Kempsey F.C. Malvern Rangers, Malvern Wanderers, Nunnery Woods and Pershore Town. The county is home to Worcestershire County Cricket Club, traditionally first stop on for the touring national side's schedule in England. Formed officially in 1865, the Club initially played in Boughton Park, before moving to its current New Road ground, which today can host 5,500 spectators, in 1895. The Club has won five County Championships in its history, most recently in 1989. Worcester Rugby Football Club, the Worcester Warriors, are the county's largest and most successful Rugby Union team, having been promoted to the Premiership in 2004. The Warriors were relegated to the RFU Championship in 2010 but rebounded back to the Premiership in 2011. Worcester Warriors play at the Sixways Stadium on the outskirts of Worcester, holding over 12,000 spectators, thus making it the largest stadium in the county. Sixways has hosted the final of the LV Cup on three occasions. The village of Broadheath, about 6 miles (10 km) North-West of the city of Worcester, is the birthplace of the composer Edward Elgar. It is claimed that the county was the inspiration for The Shire, a region of J. R. R. Tolkien's fictional Middle-earth, described in The Hobbit and The Lord of the Rings. Tolkien was thought to have named Bilbo Baggins' house "Bag End" after his Aunt Jane's Worcestershire farm. Tolkien wrote of Worcestershire: "Any corner of that county (however fair or squalid) is in an indefinable way 'home' to me, as no other part of the world is." Worcestershire is one of the three counties associated with the Border Morris style of English folk dancing. Worcestershire Monkey is a popular Border Morris dance, although normally performed as a group of eight, it is sometimes danced en masse with multiple border morris sides performing the dance together. BBC Hereford & Worcester, Free Radio and Sunshine Radio broadcast to both Herefordshire and Worcestershire. Signal 107 broadcasts to the north west of Worcestershire. Youthcomm Radio, a Community radio station, broadcasts to the city of Worcester. Birmingham-based radio stations such as BBC Radio WM have traditionally considered the bordering areas of Worcestershire as part of their broadcast area. The Birmingham-based West Midlands regional stations, such as Heart and Smooth Radio regionals also cover much of the county. In 2007 the Office of Communications (Ofcom) awarded a DAB Digital Radio multiplex licence for Herefordshire & Worcestershire to MuxCo Ltd. who aimed to provide several new stations in 2009, while also providing a digital platform for Free Radio, Sunshine Radio and BBC Hereford & Worcester and area extensions to United Christian Broadcasters and the Highways Agency. This multiplex eventually launched in December 2013, carrying the three aforementioned local services. In 2008, MXR, who owned and operated the West Midlands regional DAB multiplex licence, improved coverage of DAB Digital Radio across other parts of the county to include Worcester and Malvern. Services that could be heard reasonably across much of Worcestershire included: Chill, Gold (Birmingham), Magic Radio, Sunrise Radio, Traffic Radio (Midlands), BBC Radio WM, Xfm and Radio XL. However, this regional multiplex closed on 27 August 2013, reducing the number of services available in the county. A key factor behind this move was the industry-wide shift, supported by government, towards improving local and national DAB multiplexes. This is a chart of trend of regional gross value added of Worcestershire at current basic prices published (pp. 240–253) by Office for National Statistics with figures in millions of British Pounds Sterling. Fruit farming and the cultivation of hops were traditional agricultural activities in much of the county. During the latter half of the 20th century, this has largely declined with the exception southern area of the county around the Vale of Evesham, where orchards are still worked on a commercial scale. Worcester City's coat of arms includes three black pears, representing a now rare local pear variety, the Worcester Black Pear. The county's coat of arms follows this theme, having a pear tree with black pears. The apple variety known as Worcester Pearmain originates from Worcestershire, and the Pershore plum comes from the small Worcestershire town of that name, and is widely grown in that area. Worcestershire is also famous for a number of its non-agricultural products. The original Worcestershire sauce, a savoury condiment made by Lea and Perrins, is made in Worcester, and the now closed Royal Porcelain works was based in the city. 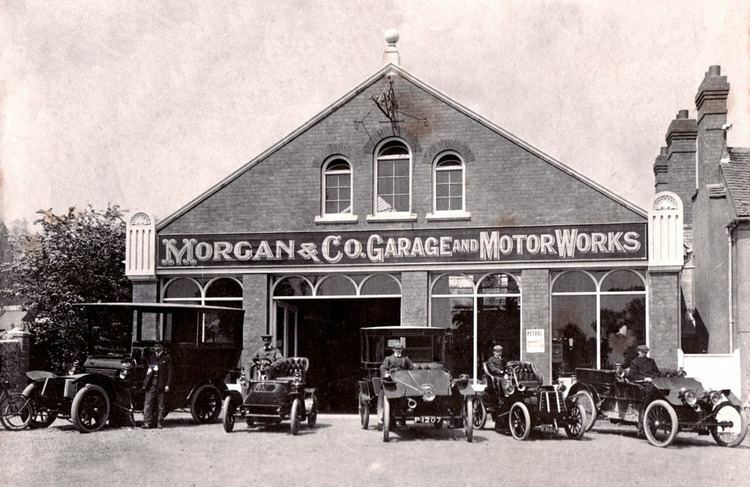 The town of Malvern is the home of the Morgan traditional sports car. The painting, A Worcestershire Cottage by Arthur Claude Strachan is also of general renown. Worcestershire has a comprehensive school system with over thirty-five independent schools including the RGS Worcester, The King's School, Worcester, Malvern St James and Malvern College. State schools in Worcester, the Wyre Forest District, and the Malvern Hills District are two-tier primary schools and secondary schools whilst Redditch and Bromsgrove have a three-tier system of first, middle and high schools. Several schools in the county provide Sixth-form education including two in the city of Worcester. Several vocational colleges provide GCSE and A-level courses and adult education, such as South Worcestershire College, and an agricultural campus of Warwickshire College in Pershore. There is also the University of Worcester, which is located in the city itself and is home to the National Pollen and Aerobiology Research Unit and five other national research centres. The county town and only city is Worcester. The other major settlements, Kidderminster, Bromsgrove and Redditch are satellite towns of Birmingham. There are also several market towns: Malvern, Bewdley, Evesham, Droitwich Spa, Pershore, Tenbury Wells, Stourport-on-Severn and Upton-upon-Severn. The village of Hartlebury housed the Bishop of Worcester from the 13th century until 2007. For a full list of settlements, see list of places in Worcestershire.